Yes… We all act, isn't it? How long can you act? 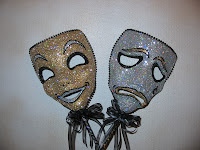 sometimes feel why we need to wear a mask if we are real .. why ? ?